It is at the intersections of fields where you find the most fascinating and innovative concepts. Recently, a conference on “Open Human Resources and the Cognitive Era” explored the use of chatbots and blockchain technologies in human resources. Human Resources (HR) is quietly undergoing a revolution as many HR practitioners are transforming HR by using open source concepts. It is fascinating to see how cognitive technologies and cloud technologies are changing HR from a transactional and compliance function to an essential strategic organizational asset. Let us examine three innovative technologies that, joined, can reinvent how Federal agencies do their HR work (and work in general). We have talked about chatbots before on DigitalGov. To recap: chatbots use artificial intelligence to reply to questions asked by users using voice or text input. The most famous chatbot is IBM’s Watson, which successively competed on “Jeopardy.” More recently, a north London council adopted “Amelia” to help citizens find city services. The advantages of chatbots are that they provide a better intuitive search experience for the user while creating a pleasant customer interaction. Unlike chatbots, many of you may not have heard of the blockchain technology. On the other hand, if you have, you may think it is synonymous with the digital currency, bitcoin. 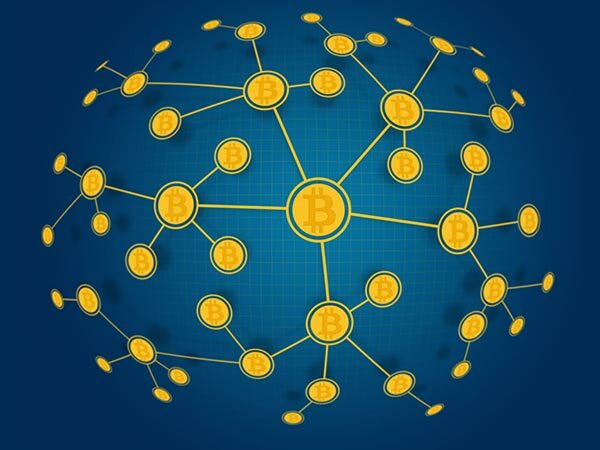 Bitcoin is just one implementation of the blockchain. Blockchain is a complex technology, and so, I like to use this non-technical explanation on how it works. Think about your bank (or credit union). You have an account or accounts at the bank along with many other customers. You trust the bank to keep a record of your transactions, as do the other customers. Any questions about the transactions are answered by examining the transaction records kept by the bank. The bank is essentially a centralized trust authority because it has the one set of records commonly agreed to by the customers. That trust can be damaged or destroyed if the records are falsified or lost due to crime or accident. In contrast, blockchain works on a distributed trust model. Imagine that you and other bank customers use blockchain to record transactions. That means that every bank customer receives a copy of the transaction ledger, which is secured by some cryptological key to verify that you have a true copy. Every time a new transaction occurs, that record is replicated automatically to all of the transaction ledgers. Therefore, if something happens to the bank’s records, the transactions can still be verified by examining a majority of the blockchain ledgers. In fact, the bank is no longer needed as transactions can be verified automatically by checking the blockchain ledgers. Caveat: as with all simplified explanations, I am leaving out some details. Here is a more thorough explanation from the United Kingdom Office of Science. The Digital Autonomous Organization (DAO; sometimes also known as a “decentralized autonomous organization”) takes blockchain technology a step further. Instead of just dealing with financial transactions, DAOs use “smart contracts” that rely on blockchains to verify if contractual obligations have been met. For example, you could set up a smart contract with the local grocery store. On a set schedule, groceries are automatically delivered to your home and, once your home’s artificial intelligence sensor network records the successful grocery delivery, the grocer is automatically paid through a blockchain transaction. In an extreme form, the grocery store is a sophisticated artificial intelligence chatbot that has no human managers. The grocery store is a DAO, which uses a series of “if-then” algorithms to manage the acquisition, storage, and delivery of grocery items without human intervention. Now, imagine if a government agency used DAOs to manage and provide government services. The process of applying for and receiving government benefits could be handled by DAOs. Or the process of applying for and receiving a passport. Federal employees would still be needed to step in case there are exceptions to the algorithms or smart contracts, but, otherwise, the DAO can interact with the public through the chatbot while performing the necessary identification and authentication through blockchains. These are still emerging technologies, and there are many issues to be worked out before fully trusting a DAO or blockchain. Even so, it is fascinating to see how these technologies can release the HR worker from the routine processing of transactions to becoming a creative problem solver that brings better value to the organization. Maybe, the lessons learned from the adoption of cognitive technologies in HR could also help better the other business units in Federal agencies. Each week, The Data Briefing showcases the latest federal data news and trends. Dr. William Brantley is the Training Administrator for the U.S. Patent and Trademark Office’s Global Intellectual Property Academy. You can find out more about his personal work in open data, analytics, and related topics at BillBrantley.com. All opinions are his own and do not reflect the opinions of the USPTO or GSA.